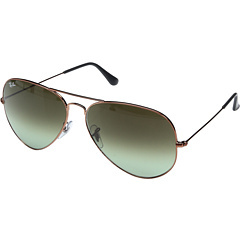 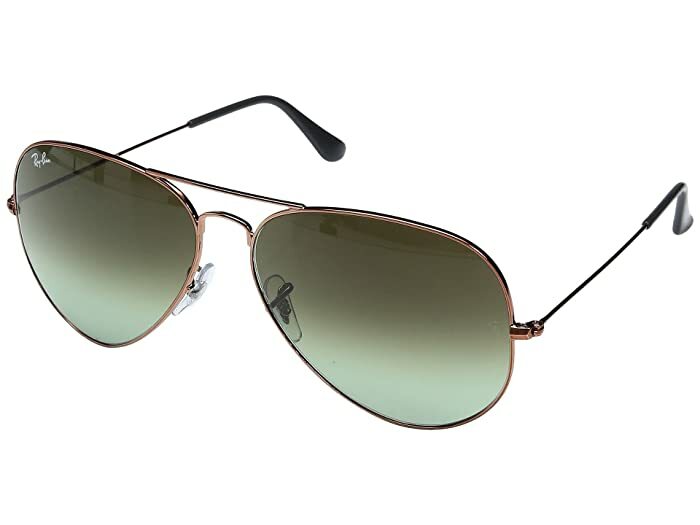 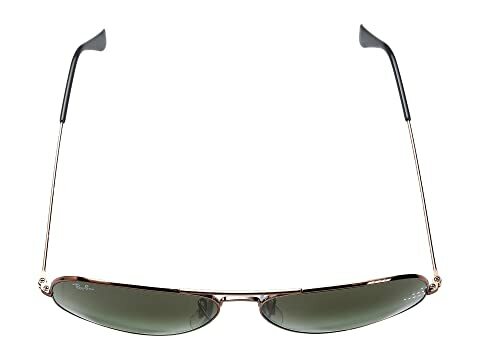 Soar to new heights in this classic Ray-Ban® aviator! 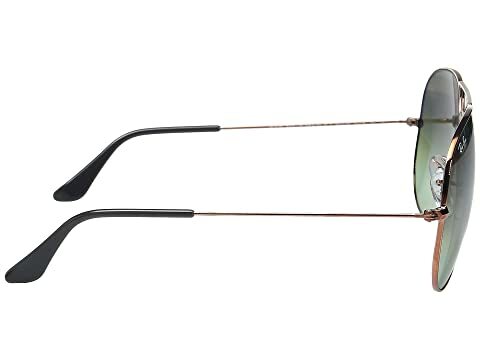 G-15 green glass lenses absorb up to 85% of visible light, some blue light, and 100% of all UV rays without altering color relationships. 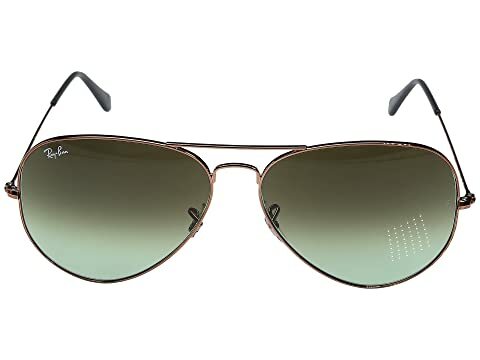 Brand hit at the upper right lens.